Colocation specialist Flexential has spent the past several years scaling up its company, combining regional chains Peak 10 and ViaWest to create a national network. The next step is scaling up its data centers, and the size of its deals. That’s why Flexential has expanded into the market for wholesale data center space, and begun expanding its facilities to support those deals. That strategy is on display in Portland, Oregon, where Flexential has just completed a $32 million expansion that adds 115,000 square feet of data center space to its Brookwood data center, nearly doubling the size of the facility. Flexential CEO Chris Downie says tenants like the Portland site’s proximity to trans-Pacific submarine cables connecting the US and Asian markets. The Brookwood data center is the U.S. point of presence for the Hawaiki cable, providing a speedy carrier-neutral connection between the continental U.S., Hawaii, Australia, New Zealand and American Samoa. The New Cross Pacific (NCP) subsea cable also terminates in Brookwood, reducing latency between the U.S. and high-growth Asian cities. The Portland addition is part of Flexential’s entry into the wholesale market, in which a tenant leases a finished suite of “turn-key” raised-floor space. Those tend to be larger deals than seen in retail colocation, Flexential’s historic focus, in which tenants buy smaller amounts of space by the cabinet or cage. Flexential is backed by private equity firm GI Partners, an experienced investor in the data center industry. Peak 10 targeted second-tier markets in the Southeast, while ViaWest built a similar network in the Western U.S. The merger of the two firms created a national footprint of 41 data centers in 21 cities, with more than 3 million square feet of IT space and about 95 megawatts of commissioned power. The company has 4,200 customers, who account for about 65 percent of Flexential’s annual leasing. Downie isn’t bashful about Flexential’s ambitions. 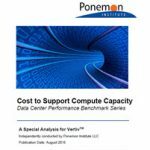 As more businesses gravitate toward using colocation data center facilities, they must adequately assess their prospective provider’s ability to supply tenancy at a relatively low total cost of ownership, and in compliance with service-level agreements. Download the new report from Sabey Data Centers to lean more about key considerations to take into account when picking a colocation data center facility right for your business. That could mean more acquisitions or new construction, according to Downie, who says Flexential will look a the most affordable and opportunistic ways to enter new geographic markets. One way to grow is to sign larger deals. That’s what’s driving the expansion of Flexential’s business. “Wholesale customers are a different way to scale,” said Downie. That doesn’t mean Flexential will compete for huge hyperscale deals. “We’re not pursuing the 10-plus megawatt deals,” said Downie. “The yield at that deal size is not the yield we’re looking for.” Instead, it will pursue deals from 1 to 5 megawatts of space. Flexential has 14 locations that can accommodate multi-megawatt transactions. That includes data centers in Denver (148,000 SF), Philadelphia (80,000 SF available) and now Oregon. 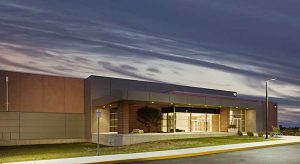 The 115,000-square foot expansion at Hillsboro brings the data center to 220,000 square feet of colocation space. That includes a single 90,000 square foot data hall, reflecting a recent industry trend toward larger data suites. 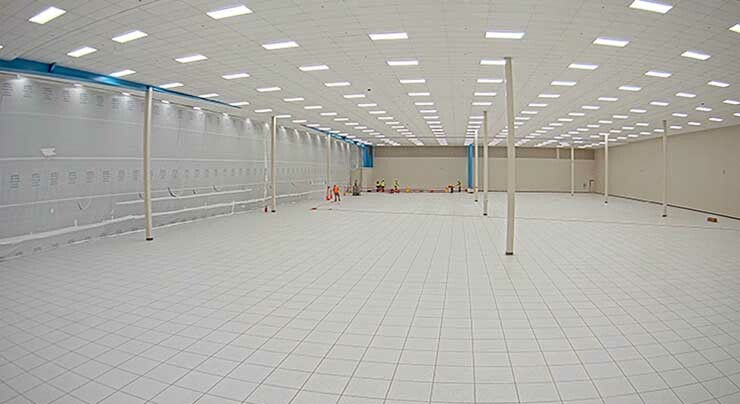 The Brookwood data center is an Uptime Institute-certified Tier III facility, with concurrently maintainable electrical and mechanical systems. The data center also features a “SuperCRAC” cooling system, which Flexential says will deliver a PUE (Power Usage Effectiveness) energy efficiency rating of 1.3 or lower.